Black Cardamom is a spice belonging to the genus “Amomum”. 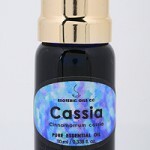 They are well known for their strong astringent fragrance. 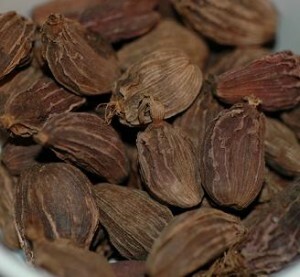 Black cardamom is widely used in Asian cuisines. Black cardamom spice is derived from two distinct species, the scientific names of which are “Amomum subulatum” and “Amomum costatum”. Looks: The pods are 2 to 5 centimeters long, dark brown in color and covered with hairs. The rough outer surface of the pods is covered with wrinkles. Inside each pod there are almost 20 to 30 sticky seeds. Smell: Black cardamom has a fresh, strong aroma. 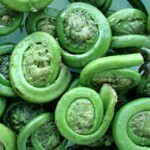 Taste: The pods have a distinct camphor-like flavor. Black cardamom seeds have a dark brown appearance. They are known for their astringent aroma and camphor-like flavor. Both the pods and seeds are widely used in culinary dishes. They also have certain medicinal properties. 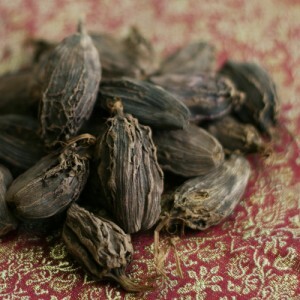 Black cardamom seeds are mainly cultivated in Asian countries such as Nepal, India, Pakistan, Bhutan, China and Vietnam. Black cardamom is grown in tropical areas, wild zones and forest plantations. Partially trimmed tropical rain forests with some shade make the ideal grounds for cultivating these plants. 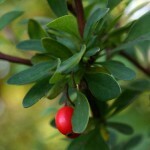 The plants are harvested from October to December before they are fully mature. This helps in avoiding the splitting of capsules due to dehydration. Black cardamom seeds have essential oils, the chemical constituents of which are listed below. Both the seeds and whole pods are used as spice in various dishes. 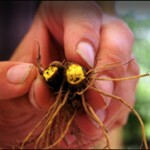 The seeds can be grounded and used in different recipes or they can be added whole. 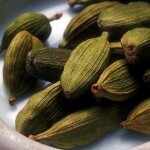 Black cardamom can be fried or consumed raw. 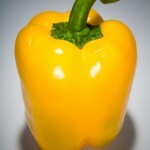 It can be combined with several other spices while cooking. The seeds and pods of black cardamom should be stored only in an airtight container. Storing them in dry conditions will keep them fresh for a year. Black cardamom is frequently described in various sources as a low-level substitute for green cardamom, which is however untrue. Although both the spices are interchangeable, the black variety has a far stronger taste, while the green cardamom is preferred for its sweet, mellow fragrance. This spice finds its use in a variety of practical fields. Black cardamom is a popular spice used in several types of food preparations. Here is a brief list illustrating the various ways in which these seeds can be used. 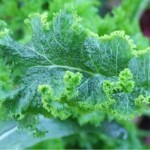 The leaves of the plant are cooked and consumed as greens. The roots are boiled and eaten like potatoes. The pods are often steam-cooked and added in pulses. 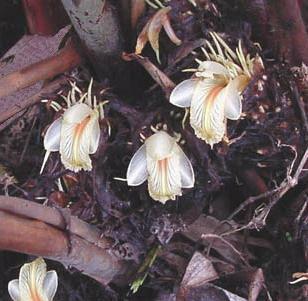 Black Cardamom is frequently included in several Indian sweet dishes and punches. 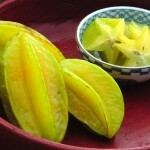 It is used as a flavoring agent in pickles and custard. 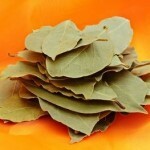 In India, it is used as a pan masala and added in betel leaf preparations. Black Cardamom is an important ingredient in Scandinavian bakery products and Danish pastries. It is an important spice used in the preparation of Biriyani. In Sri Lankan cuisine, the pods are generally added to spicy beef and chicken curries. When a small amount of this spice is added to coffee cakes, it produces a stimulating flavor. Rice puddings, flans and porridges taste great with a pinch of black cardamom. Black cardamom is frequently chewed as a mouth-freshener. It is sometimes used in making jewelry after drying. 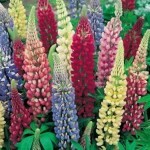 These seeds are also used in potpourri as a room freshener. 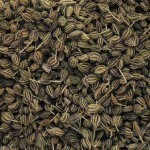 Chewing black cardamom seeds helps to cure loss of appetite. Black cardamom is also an important antidote to several health problems like bronchitis, colic, fatigue and stress. Indians believe that black cardamom can cure obesity. 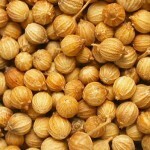 Consumption of this cardamom helps proper digestion. 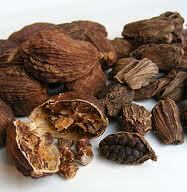 Black cardamom is used as a carminative and a stimulant; it is effective in relieving indigestion and flatulence. 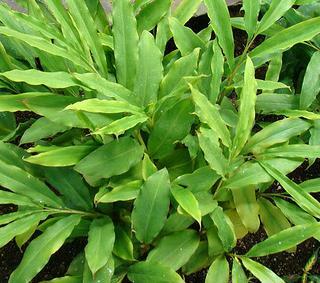 In India, Amomum subulatum is frequently used to cure dental problems and gum infections. 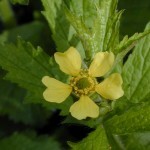 It can cure throat troubles, lung congestions and pulmonary tuberculosis. Black cardamom is used to heal inflammation of eyelids. It is used to treat digestive disorders. It can heal respiratory problems like asthma and other types of respiratory spasms. Black Cardamom seeds have anti-inflammatory properties and they help in the reduction of muscle spasms. Black cardamom is used in various recipes such as Finnish sweet bread pullas, Norwegian bread julekake and Indian masala tea. 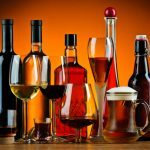 It is also an important ingredient in the preparation of different recipes like soups, casseroles, chowders and marinades. Other noteworthy recipes included Biriyanis, rice pudding, ginger fig chutney, cakes and payasam. Here are some interesting facts about this spice. Black cardamom is held in high esteem in the Arabian countries where Cardamom coffee is considered to be a symbol of prestige and hospitality. The Arabians even considered black cardamom to be a potent aphrodisiac. In Chinese medicine, it is claimed that black cardamom can cure numerous ailments. Black cardamom is also used in aromatherapy as a stimulant. The ancient Greeks and Romans fermented the crushed seeds of black cardamom to produce a strong perfume. 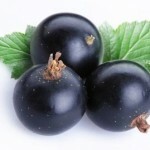 It was also an important ingredient in Ayurvedic medicine. Here are some pictures of black cardamom.